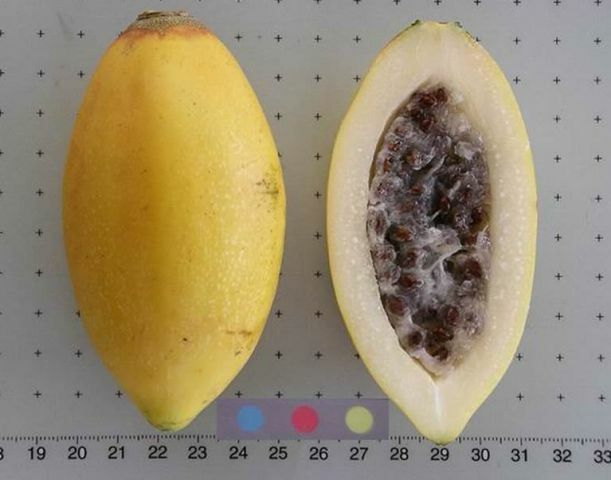 Oak leaved papaya is a fruit of South America. It grows in Argentina, Bolivia, Peru, Paraguay, Brazil and Uruguay. It is not cultivated commercially. 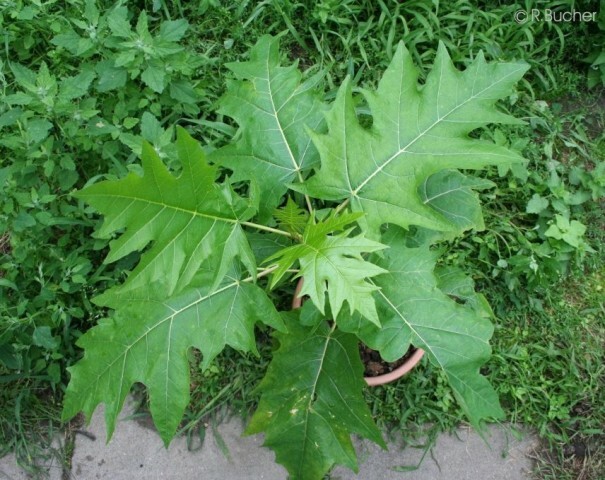 Oak leaved papaya is a small herbaceous dioecious tree growing 5-8 m high. The plant grows quite fast. It is also a quite hardy plant and can withstand temperature upto 22 F. The plant is, however, sensitive to excessive soil moisture. The leaves are 8-35 cm long, membranous and glabrous on both sides, with a lighter green colour on ventral side. Flowers are greenish yellow. Male flowers are on axillary inflorescences and the female flowers are mostly solitary or in sparse racemes. Fruits are small, 3 to 5 cm long and 1-2 cm in dia., bright orange and juicy. These are eaten raw and have a sweet and a pleasant flavour. The fruits are also reported to be rich in vitamin C. Papain can also be extracted from fruits. 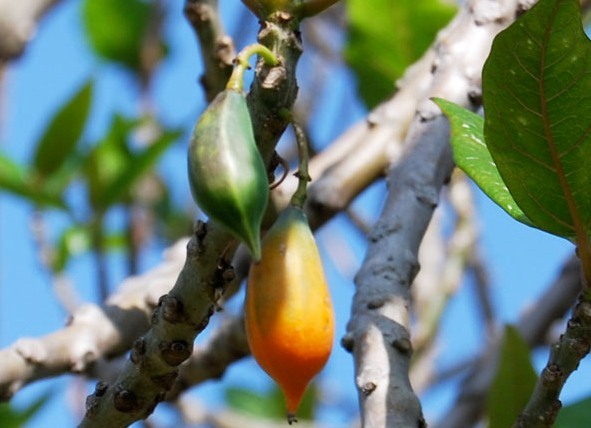 Oak leaved papaya is a quite heavy bearer and can a mature tree can bear several hundred fruits. This plant can be propagated by seed as well as by cuttings.